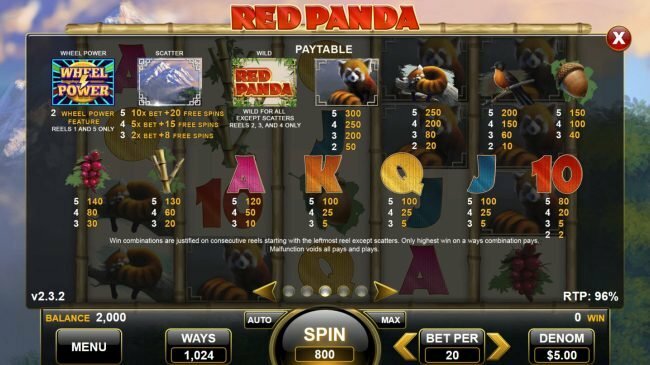 Red Panda Slots has not been reviewed yet, be the first to rate this slot. 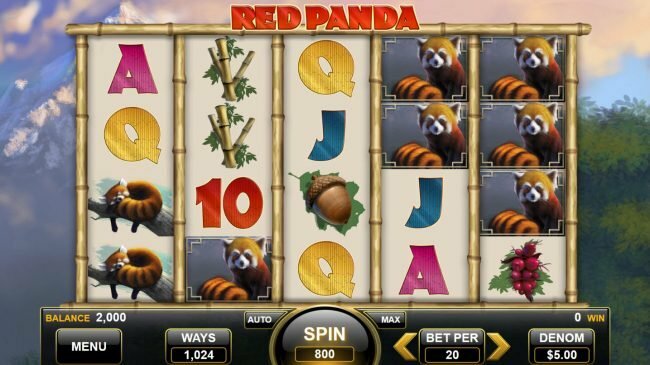 Checking out this game I learned that the 1024 pay-line, 5 slot reel video slot Red Panda is truly special. Game art like red panda, sleeping red panda, bird, acorn, berries and bamboo completely conveys the main Asian animal feel. Incorporating ace, king, queen, jack and ten we give this Spin Games produced game 4 out of five for putting this together. 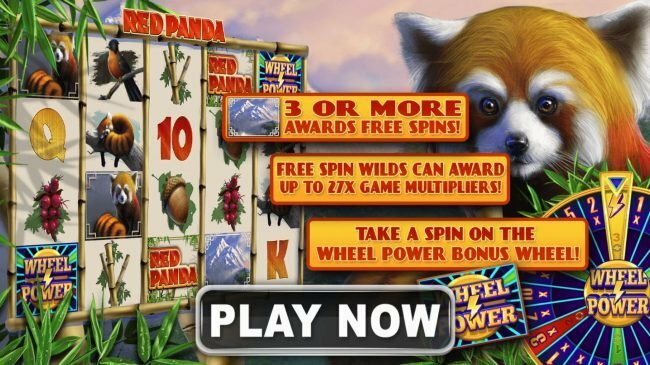 Playing Red Panda you have the ability of playing for as little as just $0.40 per slot spin. Going further you can also bet on all 1024 lines to wager a bet as big as $800.00. Go ahead and use a few game logo wild icons for a huge pay. Seeing some mountain and wheel power symbols will reward you a generous pay as well. It usually is a bad thing when your starting reels fail to line up but there is always an opening of winning big with a scatter grouping. 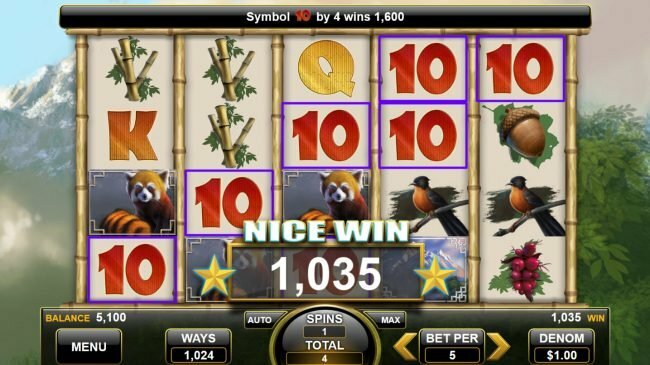 I can point to other games like King of the Luau as it has the 5 reels and 1024 lines also, similar Slots like Egyptian Gods and American Gold Rush are close also. 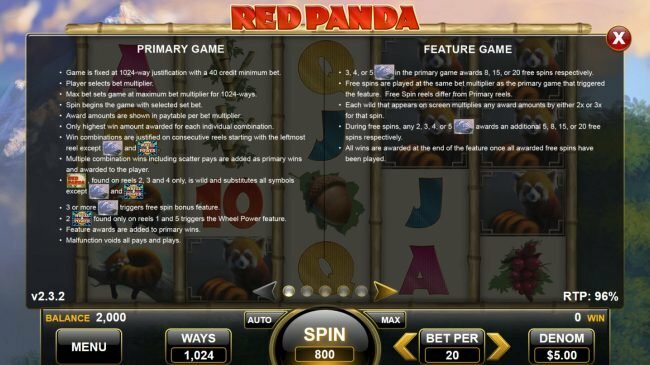 As a lot of Spin Games games like this type interact the same so be sure to pick out a winner. 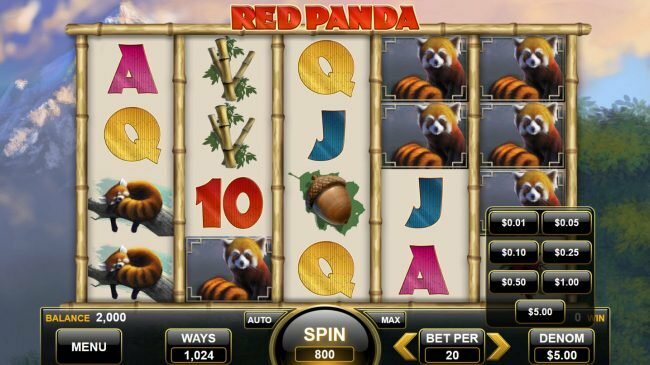 Along with other 5 reel slot machines, the Red Panda slot is neat to play. The Spin Games designers worked a lot of work to make a game this fun experience. 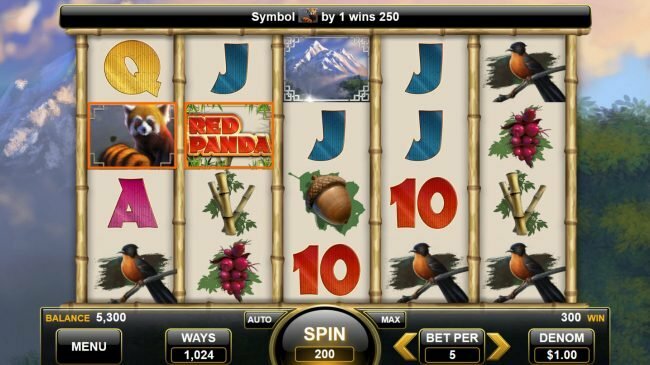 Implementing icons like ace, king, queen, jack and ten you can easily find yourself into the Asian animal experience. 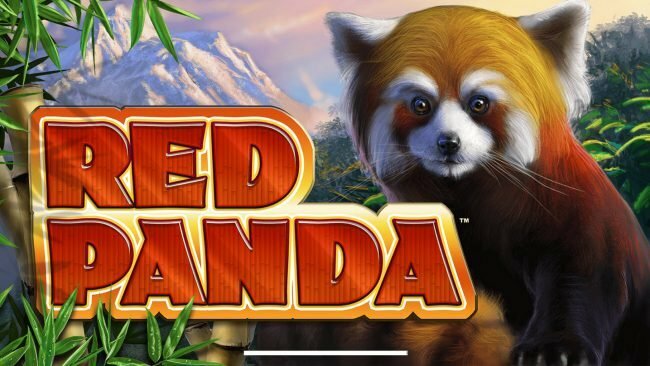 In closing we think Red Panda was a fun game including decent wins and images. 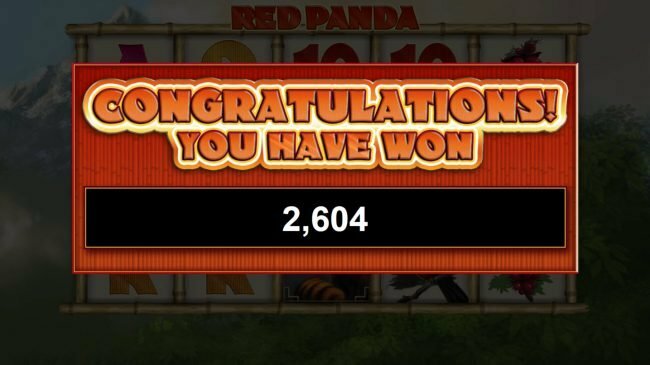 The Slot feature part of Red Panda is really cool. Here are the details on the Bonuses you are able to win. 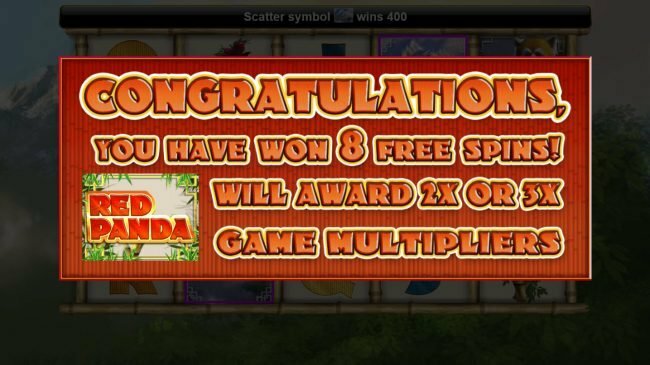 If you like huge pay outs, the Free Spins would seem as it was placed for you. 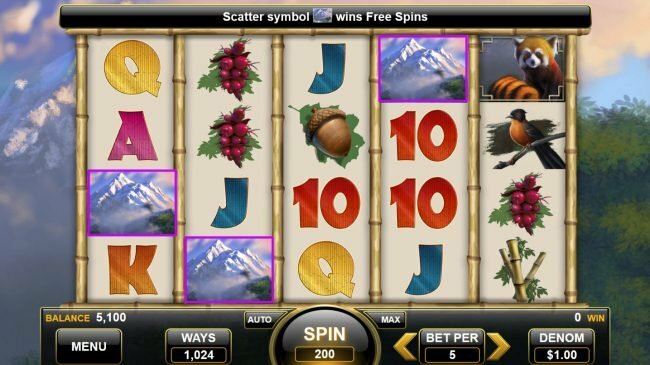 Simply get three or more mountain symbols appearing anywhere on the reels to launch. When you get wheel power symbols appearing on reels 1 and 5 the Bonus game launches. 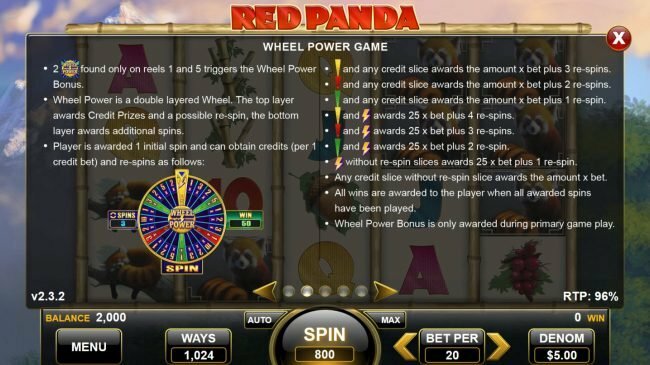 This Wheel Power Feature is an outstanding way to collect winnings. I have to assign Red Panda 5 of 5 stars for the feature games. you almost don&apos;t pay attention to the game play.